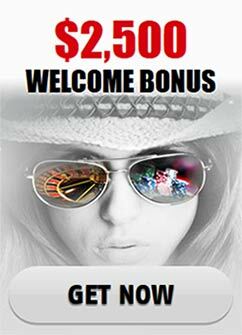 Money Shot slots is an online tool to make money with 5 reels and 20 paylines that will let you experience the sport rush of making a shot and succeeding with a decent amount in stake. If you love earning money and you are a fan of basketball this is the perfect type of entertainment for you. The symbols here vary greatly: they include cheerleaders, fancy dressed fans, a whistle, shoes, sport t-shirts, a basketball playground, etc. The basketball itself is of course, your wild symbol. The role of the scatter symbol is reserved for the scoreboard. If you get two of them, you are guaranteed to win something. If you happen to receive three of more scoreboards you will receive a very helpful amount of 15 free spins. As far as it goes for the wild symbols, if you get them in your second or fourth reel you will be able to unlock the bonus level where you will be given the chance to make your earnings even greater. If you get five basketballs in any of the paylines you will get the flabbergasting award of 10 000 coins. Naturally the wild symbol can replace normal symbols and therefore bring you closer to a win. Furthermore, receiving the basketball alongside a winning combination guarantees the doubling of your earnings. Within the bonus level you will be able to play with just 1 or as many as 20 coins. As you enter the bonus round the game will adopt the scenario of you being the player as he is preparing to perform a shot from the free-throw line. As the level progresses you will be gradually distancing yourself from the hoop until you get into the position of making a basketball money shot (from a considerably long distance away). The bonus level will surely award you with something; just how much depends on your choices. The different hoops you are aiming for will deliver you different winnings. The values of the coins you are playing with can go as low as 1 cent and as high as 10 dollars. You have at your disposal twenty paylines and the low border of the bet for all of them is 20 cents. Another unexpected bonus in a way, is the fact that usually Money Shot slots is being offered with a training mode, which is free of charge and it is a perfecty opportunity to get to know the game and all its little tricks, without actually putting money at stake. Do you love basketball, the thrill of the throw, the triumph of the getting a shot right and the satisfaction of a quick cash grab? Look no further: this is the online game for you.